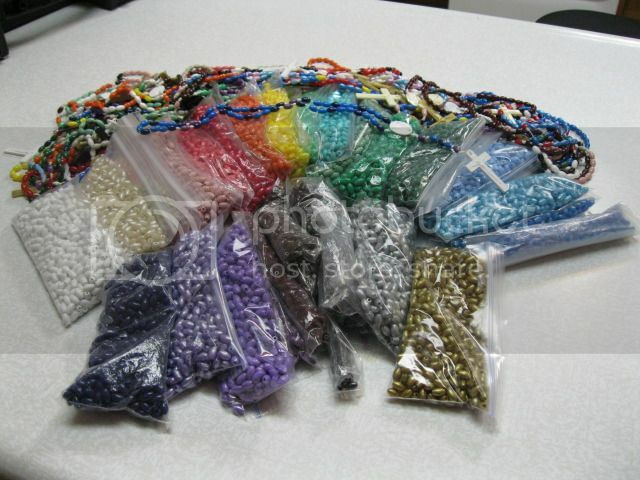 Everything you need can be purchased at Our Lady's Rosary Makers out of Kentucky. The equipment for all-knot rosaries can be purchased locally from Illuminated Ink, a Catholic mail-order business in Colfax. 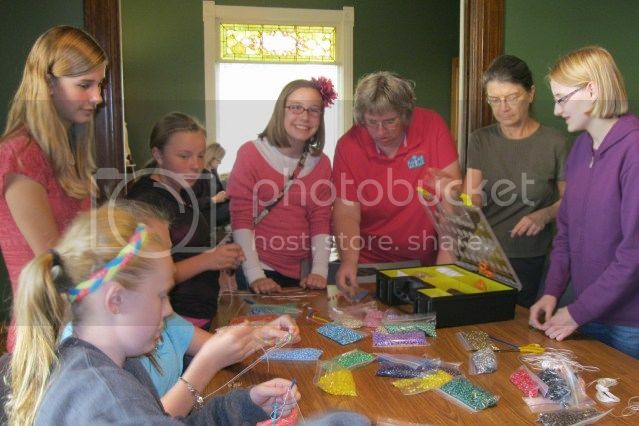 Above: Our church's multi-age rosary-making group. Below: A guide I made to help our younger members remember how to pray the rosary. Feel free to copy and use it freely (for good and not evil).